On first approach, Fueguia 1833 gives me the feeling of both utter fascination and being totally overwhelmed. Fueguia 1833 is an Argentinian niche perfumery based in Buenos Aires, however, with no Australia retailers, their range is difficult to access. Some online fragrance companies do sell selected stock, but at last glance Fueguia 1833 have 63 perfumes and home scents in their standard catalogue. Where do you start? Firstly, to the catalogue. Every single aspect of the creation of their fragrances is a study in meticulous attention to detail and a deep passion. The company founder himself, Julian Bedel, is noted as undertaking yearly expeditions to source medicinal and aromatic plants, some of which are then used for the first time in fragrances through Fueguia 1833’s research and development efforts. The wooden boxes which house the fragrances are sourced from native wood from fallen trees, and are crafted in a carpentry school teaching young kids woodworking skills. Everything about the creation of these fragrances is simply beautiful. In the last year or so Fueguia 1833 have started selling 2ml samples at a reasonable price, so I picked up a set of three of their collections: Destinos, Fábula Fauna and Special Projects. From the Fueguia 1833 Catalogue: La Tierra del Rayo (Tunuyán) is considered one of Argentina’s most important regions when it comes to high-quality wine production. This perfume was made using chromatography of Argentina’s Pinot Noir wines to analyze the aromatic volatiles in the wine, and then later use the same molecules in the composition of the fragrance. La Tierra Del Rayo opens with an accord of sticky red berries and astringent crushed green leaves. Pepper and wood notes float in and out of the silage. At 1 hour, the wood also becomes quite damp which seems to deepen the berry note, however there’s an overarching dryness to the whole composition. At this stage, it really does give the impression of a red wine, with a nod to pinot noir’s fruity characteristics and a light touch of dry tannins which run across the tongue after a sip. It’s really quite clever, although as a fragrance it is a bit odd to leave the smell of red wine on your skin – my instinct is that a glass has been knocked over and I was one of the spillage casualties. At around 2 hours, the dampness of the fragrance has disappeared leaving the smell of the inside of an ex-red wine oak barrel –juice drained away and the barrel slowly drying out. The fragrance has run its course at about the 3 hour mark, leaving a subtle woody musk note on my skin. Some friends and I went to an Argentinian restaurant last week, and was very excited to see a 2012 pinot noir on the menu “Siesta” from Tunuyan Mendoza – so I grabbed a glass and enjoyed not only the beautiful wine but the understanding that I had gained about this wine region through testing “La Tierra Del Rayo”. To me, this is the purpose of this fragrance – no so much that you are wearing a ‘red wine’ scent, but much more about the exchange of knowledge through showcasing Argentina’s history and stories. Have you had a chance to try Fueguia 1833? ← Beauty = Contouring: AAARGGHHH! I met Julian in 2013 at LuckyScent and he was absolutely adorable. Bought on ne of the fragrances but I can’t seem to find it. It is here somewhere. Hey Portia – that’s great! How fun. I’d love to know which one you picked up – let me know when it’s located. I think I purchased samples of these from Lucky Scent when they were part of a sample pack. I will dig them out. I think I remember that wine barrel smell you talk about. Great review! Oh, nice to know Fueguia 1833 has been part of a broader sample pack in the past. Cool. I think both Lucky Scent and First in Fragrance sell this line and have samples available, but not the whole lot, just a selection of fragrances. 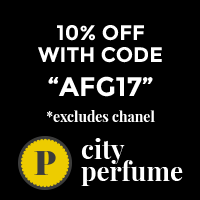 PS – I was thinking of you – they have a fragrance called “Azar” – Bergamot, Orange and Neroli. 🙂 I haven’t tried it yet but sounds fresh & fun! I have a sample of Metafora, and really enjoy it. Only complaint is that is doesn’t hang around very long on my skin! Worth a try though, if you like this perfumer! Pink Pepper, Jasmine, Ginger – yum! Sounds lovely. I’ve found that the short lifespan is a feature of many of these fragrances. La Tierra Del Rayo was very active in the first hour, and settled down over the next two & was quite a passive skin scent after that. Not always the case, but it is worth keeping in mind. I have tried Xocoatl. I ordered the sample mainly for someone who is looking for a great chocolate fragrance. Sadly, this didn’t work for either of us. I still want to try Alguien Suena. “A mesmerizing journey through a dream” and notes I love. Who knows, I might get lucky. Xocoatl isn’t your classic ‘chocolate’ fragrance, hey? I found it more like walking through a jungle looking for cacao pods – it’s sticky and heavy and raw. I just looked up Alguien Suena – cassis, ylang ylang, patchouli – sounds like an interesting combo. Cool – hope it is a good one for you! Wow, I’ve never heard of this line. I love love the bottle and the idea of this scent. I’m not sure how much I’d enjoy it as I don’t particularly love wine, but it’s intriguing nonetheless. Thanks for highlighting this one!